Back View Photo Of Pretty Elegant Girl College Student Pointing Empty Area Standing On White Background. Banque D'Images Et Photos Libres De Droits. Image 91976256. Banque d'images - back view photo of pretty elegant girl college student pointing empty area standing on white background. 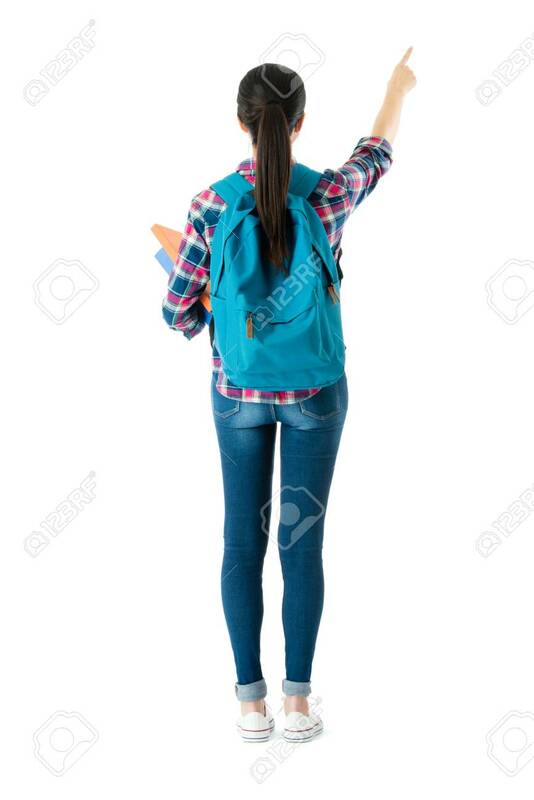 back view photo of pretty elegant girl college student pointing empty area standing on white background.